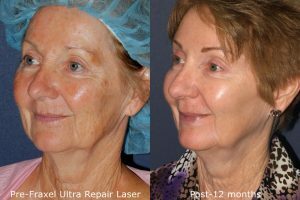 The Ultra Repair was developed as a non-surgical alternative to a facelift. By combining the use of multiple laser treatments with injectable fillers and Botox, our doctors are able to treat the signs of aging by reducing the appearance of age spots, wrinkles, skin imperfections and sun damage on a patient’s face, neck, and chest. This technique provides patients with the great results. 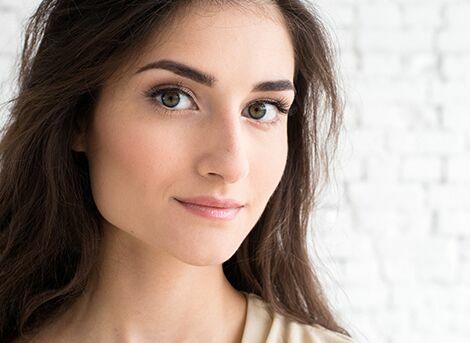 Patients benefit from this innovative laser treatment because our doctors are able to create a unique treatment plan based on each individual’s specific cosmetic procedure needs. By targeting exact skin conditions and several areas simultaneously, the Ultra Repair is able to effectively remove imperfections and rejuvenate the skin. Instead of undergoing a surgical facelift, Ultra Repair utilizes a combination of lasers, fillers, and Botox to restore a youthful appearance. During a consultation with one of our expert laser dermatologists, we will examine your skin and ask you about the results you want to see from the procedure. A personalized treatment plan will be developed specifically for you, including a unique blend of lasers. Because our practice utilizes so many lasers in-house, our doctors can customize this combination treatment specifically for each patient’s needs. Multiple lasers can be used at the same time in order to effectively target each skin concern. Treatments can be performed on the full face, neck, and chest. Active/Deep FX lasers provide fractional CO2 resurfacing. Learn more about laser skin resurfacing on WebMD. Q: What is Ultra Repair? A: Ultra Repair is a revolutionary, customizable procedure that combines several laser treatments and facial fillers to rejuvenate the face. 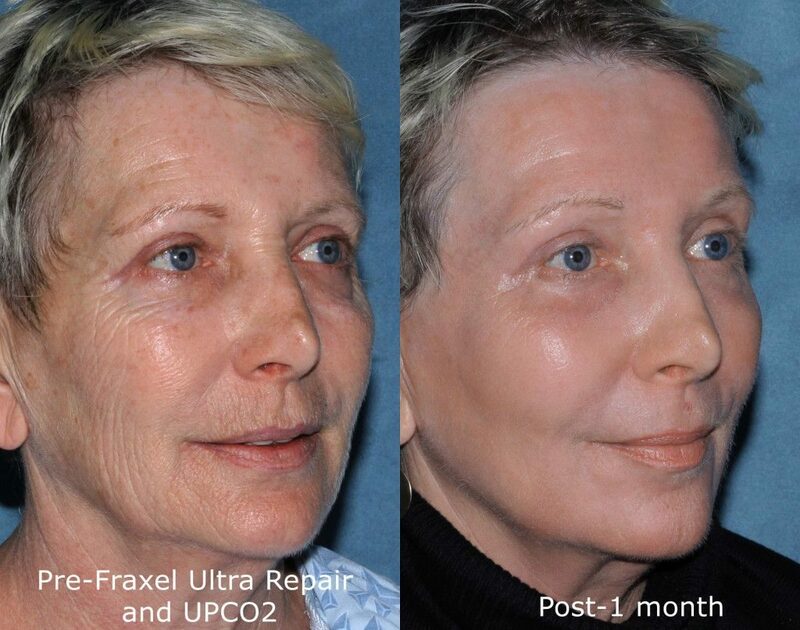 An Ultra Repair treatment will repair sun damage, reduce the appearance of wrinkles and fine lines, remove facial veins, improve skin texture and add volume back to the face, neck and/or chest. A: After Ultra Repair your skin should look rejuvenated and much healthier than before. The results of the laser treatments are long lasting, but nor permanent. The better care you take of your skin by protecting it from future sun damage, the longer the results will last. The effects of the Botox injections will be visible within a week and normally last 4-6 months. Depending on the type of filler that is used in your treatment visible results will vary. With fillers like Restylane and Juvederm expect visible results immediately after the procedure and expect it to last for up to 9 months. If you receive Sculptra injections the effects take about a month to appear but can last for up to two years. A: There is some social downtime required after Ultra Repair treatments, but it is significantly less time than would be needed after a surgical facelift. Most patients need 7-10 days to recover fully. The less aggressive the treatment the quicker you will recover. Age is also a factor in recovery; younger patients may only need 5-6 days to recover. Q: When will I see the results of my treatment? A: You will start seeing results soon after your treatment. You will see the effects of your filler and Botox injections within the first week, but it takes 3-6 months until full results from the laser treatments are visible. Q: Can lasers and injectables be used together? A: Yes. Patients experience great results when laser treatments and injectables are combined. In Ultra Repair treatments we often combine various laser treatments with fillers and Botox to achieve a youthful appearance. A: Ultra Repair costs vary depending on each patient’s unique needs and how many areas you want to have treated. During a consultation, one of our laser dermatologists will give you a cost estimate for your Ultra Repair treatment plan. A: As with most lasers, there are some mild side effects that you may experience. Side effects can include swelling or redness after the procedure. However, these will clear up within a week. Chemical peels and a comprehensive medical-grade skin care regimen provide patients with an alternative to complexion restoring treatments.